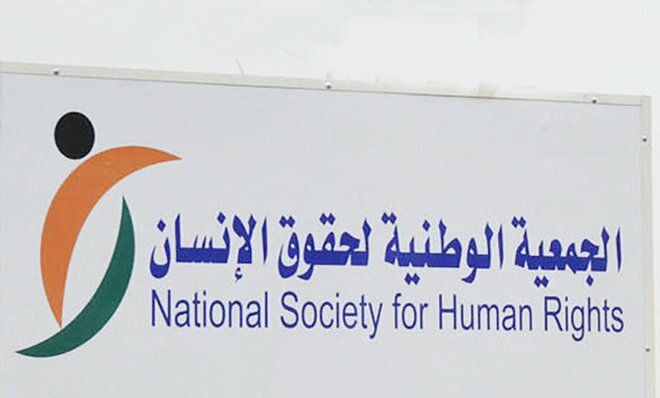 (P1) JEDDAH: The National Society for Human Rights (NSHR) has announced that anyone who harms others through the social media could be punished with imprisonment for a maximum of one year, and will be ordered to pay a fine of up to SR 500,000, according to a tweet by the NSHR on its official Twitter account. (p2) Mufleh Al-Qahtani, president of NSHR, explained that as part of its duty to disseminate the culture of human rights throughout the community and to encourage people to abide by the law, the society publishes booklets and posts tweets to educate and familiarize Saudis with the consequences of their actions and the crimes that they might commit unknowingly. (P3) Al-Qahtani said the emergence of modern media in the community, especially among young people, coincided with the emergence of various crimes committed using these means. “This entailed the enactment of the Anti-Cyber Crimes Law under a royal decree in 1428,” he explained. (p4) The NSHR earlier published on its Twitter account the relevant prison punishment of not more than a year and the payment of a fine of SR 500,000 as possible punishments for any person who invades the private life of others by abusing their mobile phone camera, defaming others, or by harming them through technology. Do you agree or disagree with the new law? Why? Do you think the law will stop people from harming others on social media? Why or why not? In your opinion, is the punishment too lenient or too harsh? Why? If you are from another country, does your country have a similar law? If no, should they? Why or why not? What’s the maximum penalty under the new law? Who’s the president of the organization in the article? What is the official name of the act that was passed?